Sunflower Resort is located by the sea, in the well-known resort area of Runaway Bay and is ideally situated for both beach and fun in the sun. 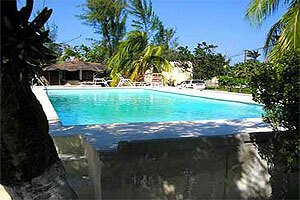 Sunflower Resort is Located by the Sea, in the Well-Known Resort Area of Runaway Bay. We Are Ideally Situated For Both Beach and Fun in the Sun To Close by Sight Seeing, Duty Free Shopping, Clubs and Great Dining. Our Accommodations Provide Added Flexibility, Privacy, Convenience and Accessibility To Sites, Dining, Fun and Shopping During Your Vacation. Our Properties Range from Luxury Villas and Cottagaes To Moderately Priced Rooms, With a Total of 70 Rooms. We Have Both Air Conditionined As Well As Rooms With Fans and Daily Housekeeping. All of Our Luxury Villas Come With Private Swimming Pool, Personal Staff of Three -Maid, Cook, Gardener- And Private Access Pass To the Beach. We Can Customize Packages from All Inclusive To Any That Suit Your Needs. Our Dining Features Both Jamaican and International Cuisine, As Well As Dishes Made To Order When Notified in Advance. A 10 Minute Ride Gets you To Dunn S River Falls, Here Enjoy a Climb Up This Terraced Water Fall, Swim and Have a Close and Personal Encounter With the Dolphins At Dolphins Cove or Just 5 Minutes Away, Visit Our Famous Grotto Caves. Close by Ocho Rios Features Dining That Includes a Wide Variety, from Jamaican Jerk Dishes, Italian and Chinese Cuisine To Burger King, Jummy Buffet S Margaritaville, Featuring 52 Tropical Flavours or Margaritas and Beers and Fare Ranging from Fajitas To Jerk is Served in a Tropical Fun Setting.